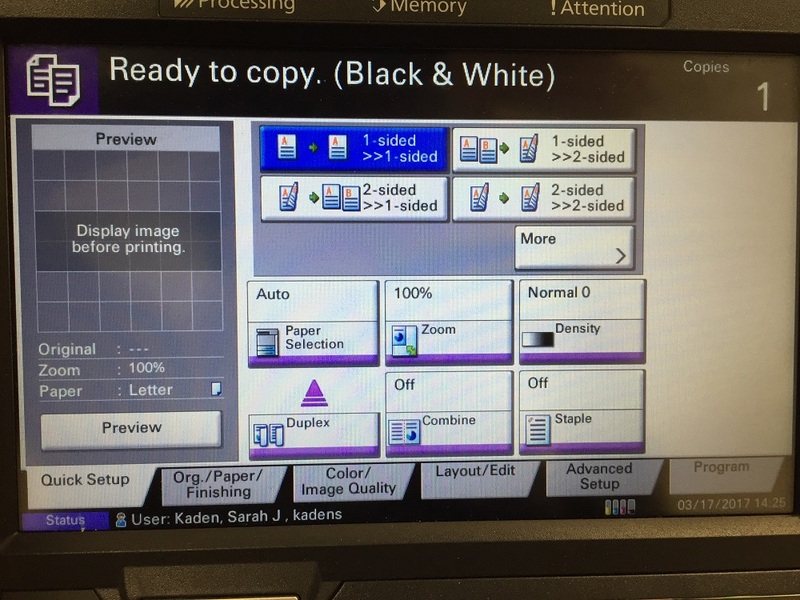 All campus copiers are set to automatically print double-sided. 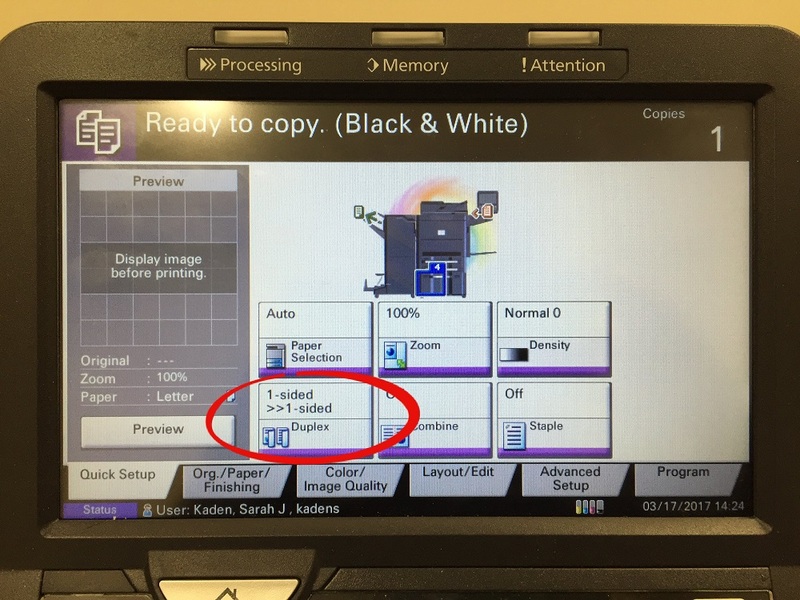 This article explains how to switch between single- and double-sided printing on campus copiers. 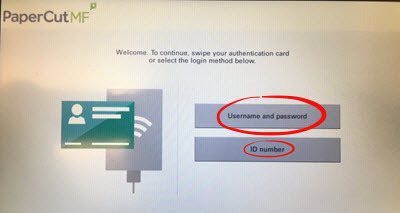 Step 1:Login to the copier. For more information on logging in, visit the Copier Login article. Step 2:Tap the rightmost option on the bottom of the table, labeled Duplex. Step 3:Choose from the four provided options. 1-sided >>> 1-sided is for copying a single-sided document to make another single-sided document. 1-sided >>> 2-sided is for creating a double-sided document from two single-sided documents. 2-sided >>> 1-sided makes a double-sided document into two single-sided documents. 2-sided >>> 2-sided is for copying a double-sided document to make another double-sided document.